What If I Am Partially To Blame For My Injuries? If you were injured in a car accident, truck accident, slip and fall incident, dog bite accident, or some other type of personal injury accident in Florida, you may be entitled to compensation. Recovering compensation involves proving liability, meaning that you must prove who caused the accident. Sometimes, proving liability is simple. For instance, in a rear-end collision, the car in the rear is often at fault. In a dog bite accident that occurs in public, the dog owner would be held liable. Other times, however, liability is not so clear cut, and sometimes both parties can be found partially to blame. When this occurs, the decision makers will turn to Florida’s comparative negligence statute. Traditionally, states adhered to a contributory negligence theory, which was used to characterize conduct that creates an unreasonable risk to one’s self. 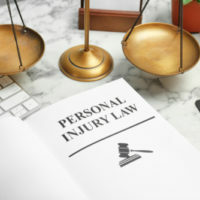 Under this theory, if an individual is found to be even partially responsible for his or her own accident, he or she would be barred from recovery entirely. Many states have done away with this harsh approach and have since implemented a comparative negligence approach. Florida is one of them. Under the comparative negligence theory, a person can still recover compensation even if he or she is found to be partially responsible for his or her own injuries. However, the victim’s compensation will be reduced by whatever percentage of fault is assigned to him or her. For instance, if a person is determined to be 25 percent at fault for the accident, his or her settlement will be reduced by 25 percent. However, if a person is found to be 50 percent or more at fault for the accident, he or she may be barred from recovery entirely. There is an exception to the notion of comparative negligence, and that is strict liability. Strict liability means that whether or not negligence is involved, an accident victim can recover damages from a defendant even without proving fault. The only thing that the plaintiff need prove is that the injury occurred. For instance, in Florida, a dog bite falls under strict liability. If an owner has reason to know that a dog has a propensity to bite and the dog does, in fact, bite someone, the owner will be held labile without question. Some forms of product liability fall under strict liability as well. For instance, if a product is inherently defective or dangerous, the manufacturer can be held liable, without regard to negligence, for creating a product that was defective even when used correctly. If you were injured in an accident and know that you are partially at fault, or suspect that you may be found to be partially responsible, reach out to the lawyers at Spencer Morgan Law for advice and representation immediately. We can fight on your behalf to reduce the percentage of fault assigned to you and ensure that you walk away from your case with the most amount of compensation possible. Contact our Miami personal injury attorneys today to schedule a free consultation and to get started on your case.